Rising just west of Spadina Avenue on Richmond Street West, this tall thin tower of 17 storeys represents the best of modern architecture and design. The Woodsworth is set to rise in a central location that’s hard to beat. 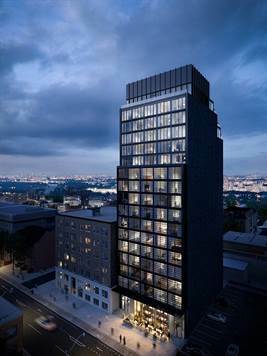 Woodsworth Condos by Lamb Development Corp will transform a car-lot on Richmond St. between Spadina Ave. and Bathurst St. into an elegant, marble-clad, 17-storey tower. Based on the high anticipation for this project, it is nearly impossible to assume that every unit will remain on the market after the initial VIP sale. Register and follow for updates on the latest information!